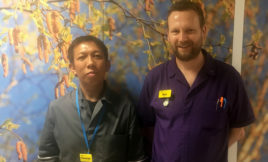 A family has paid tribute to their beloved relative, Derek, by collecting donations in his memory to refurbish a family room on Hedley Atkins Unit, the ward where he was cared for. 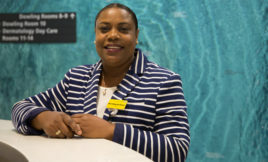 Randolph is the new clinical nurse specialist looking after cardiology patients. 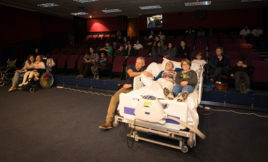 His role has been made possible thanks to your donations, and it’s helping provide a streamlined experience for the patients. Patients have an inviting new space for their appointments, thanks to beautiful bespoke artwork in the dermatology department’s renovated space in The Bermondsey Centre at Guy’s Hospital. 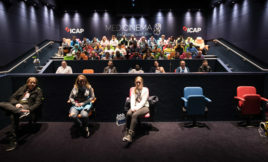 The digital 3D cinemas give patients a welcome break from the wards. They have been designed to allow access to patients with wide-ranging needs. Patients at the Amputee Rehabilitation Unit have been enjoying weekly gardening groups, thanks to generous donations. 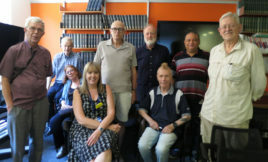 Men living with prostate cancer and their families and carers can now attend a new patient education seminar, Healthy on Hormones, which runs thanks to generous donations. 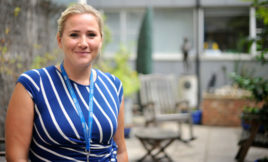 Donations have enabled us to support an outreach team at St Thomas’ Lane Fox Respiratory Unit. With your help, we can buy life-saving equipment, fund research and do all we can to make Evelina London a special place for children. 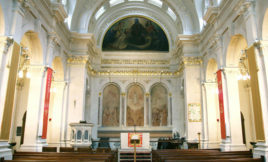 Generous donations have significantly contributed towards the restoration of the historic chapel at St Thomas’ Hospital.